What Kinds of Drinks Can You Make With Triple Sec & Vodka? What Is a Good Mixed Drink Using Tequila & Brandy? What Do You Mix Grappa With? What Can You Make With Creme De Framboise? 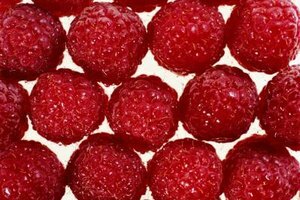 Raspberries make up part of creme de framboise's flavor. 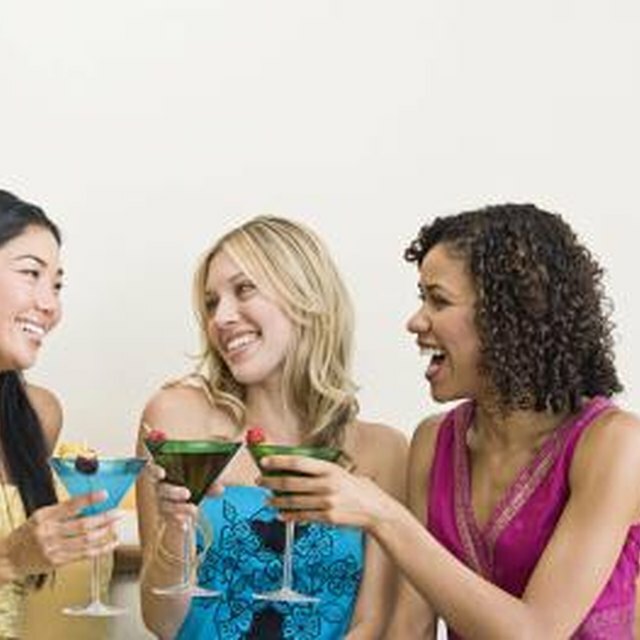 1 What Kinds of Drinks Can You Make With Triple Sec & Vodka? 2 What Is a Good Mixed Drink Using Tequila & Brandy? Creme de framboise, a raspberry-flavored cream liqueur, falls into the specialty fruit liqueur category along with kirschen liqueur (cherry) and creme de myrtille (blueberry). Being a specialty liqueur, though, doesn't make creme de framboise inaccessible, allowing you to create plenty of drinks from cocktails to shots with it as either a primary or secondary ingredient. Raspberries and sparkling wine are always a fine combination. One simple sparkling drink is the kir imperial, which is a twist on the kir royale, and substitutes creme de framboise for framboise. Just fill 1/6 of a champagne flute with creme de framboise and top with sparkling wine. A more potent sparkling drink is the ja-mora, which combines vodka, creme de framboise, orange and apple juices and sparkling wine. Pour equal parts of vodka, creme de framboise, orange and apple juices into a shaker tin filled with ice; shake, strain into a champagne flute and then top with sparkling wine. Creme de framboise can be that added something that turns a regular martini into a special one. One martini with a simple creme de framboise twist is the devil's advocate, which builds upon the classic gin martini with a splash of dry vermouth by layering creme de framboise on top of the martini at a 2-to-1 ratio -- just remember to leave out the olive juice! The raspberry martini, made with fresh raspberries, is an even fruitier martini. Pour 5 parts vodka and 1 part creme de framboise into an empty shaker tin. Add fresh raspberries at a 10-to-1 ratio with the creme de framboise to the shaker tin and muddle them, then add ice, shake and strain into a martini glass. Creme de framboise's flavor and creaminess mean that it goes well after dinner. The French kiss is a dessert martini made with vodka, white creme de cacao and double cream as well as creme de framboise. Pour the respective liquids at a 3 parts vodka and 1 part each of the other ingredients into an ice-filled shaker tin, shake and strain into a martini glass. If you want more than just cream in your coffee, try a razzamatazz -- pour creme de framboise, creme de cassis and coffee liqueur at a 2-to-1-to-1 ratio into a toddy glass, stir and then top with coffee and whipped cream. The taste of raspberries and cream is just the thing to help shots go down more quickly. One simple shot is the Pavlova supreme, which consists of only vodka and creme de framboise -- pour 3 parts vodka into a shot glass and top it with 1 part creme de framboise. The jammie dodger shot also only has two ingredients, substituting double cream for vodka. Just pour 3 parts creme de framboise into a shot glass and top with 1 part double cream. What Drinks Can I Make With Banana Rum? What Juice Goes Well with Brandy in a Mixed Drink? What Drinks Can I Make With Espresso-Flavored Vodka? What Type of Cream Do You Put in White Russians? Can You Make Vodka Pina Coladas?